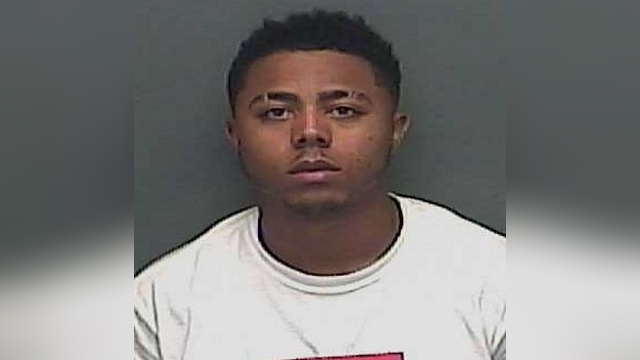 UPDATE: The West Feliciana Sheriff's Office released the mugshot for 21-year-old Nicholas Alexander Monday morning. A judge has set his bond at $17,500. ST. FRANCISVILLE - East Baton Rouge Parish Councilman Buddy Amoroso was struck and killed by a vehicle Saturday morning while riding his bicycle. According to Louisiana State Police, Metro Councilman Amoroso and 71-year-old Thomas Clement were traveling eastbound on their bicycles on LA Highway 66 near US 61 around 11:30 a.m. Saturday. Police say 21-year-old Nicholas Alexander of Lafayette, also traveling eastbound on LA 66, failed to reduce his speed and move over. His 2013 Chevrolet Tahoe struck both cyclists from behind. Councilman Amoroso was pronounced dead on the scene by the West Feliciana Parish Coroner's Office. Clement sustained serious injuries and was airlifted to Our Lady of the Lake Regional Medical Center in Baton Rouge. Police say both cyclists were wearing helmets and proper biking attire. Alexander was uninjured, and placed under arrest by State Troopers. He was booked into the West Feliciana Parish Jail and faces multiple charges, including negligent homicide, negligent injuring, and limitations on passing bicycles. Today, our family lost our rock and our community lost a servant. While our hearts are broken, we are lifted in spirit by the outpouring of support from far and near. Buddy loved his family and he adored serving on the Metropolitan Council alongside his colleagues. But most of all, Buddy loved his God and cherished his relationship with Our Lord and Savior. A celebration of Buddy’s life will be announced soon. Thank you, Baton Rouge, for your compassion and support during this difficult time. It is with deep sadness that I inform our parish of the tragic death of Councilman Buddy Amoroso. Buddy was a colleague and a friend, and a true example of a dedicated public servant. This tragic loss will be felt throughout the parish, from the constituents he served in District 8, to his faith community and the many organizations he served. Please join me in keeping Councilman Amoroso's family, especially his wife Denise, his children Elaine, Michal Ann, and Joey, and his many friends lifted in prayer. We should all reflect on Councilman Amoroso’s commitment to community and kindness during this extremely difficult time. In honor of Councilman Amoroso, I have ordered flags at all public buildings throughout the parish to be flown at half staff for the coming week. Baton Rouge Police Chief Murphy Paul expressed his condolences to the councilman's family, stating that Amoroso was a supporter of BRPD since he entered office.